Beyond the equipment you need to spread salt and sand in Elizabeth, you will also need the equipment to store it. Our line of economy and heavy-duty salt boxes provide a simple, effective way to keep de-icing materials out of the elements and weather. Available in three sizes, 5.5 cu ft, 11 cu ft and 18 cu ft, the heavy-duty salt boxes include lockable lids for maximum material/gear protection and integrated fork pockets for simplified transport. 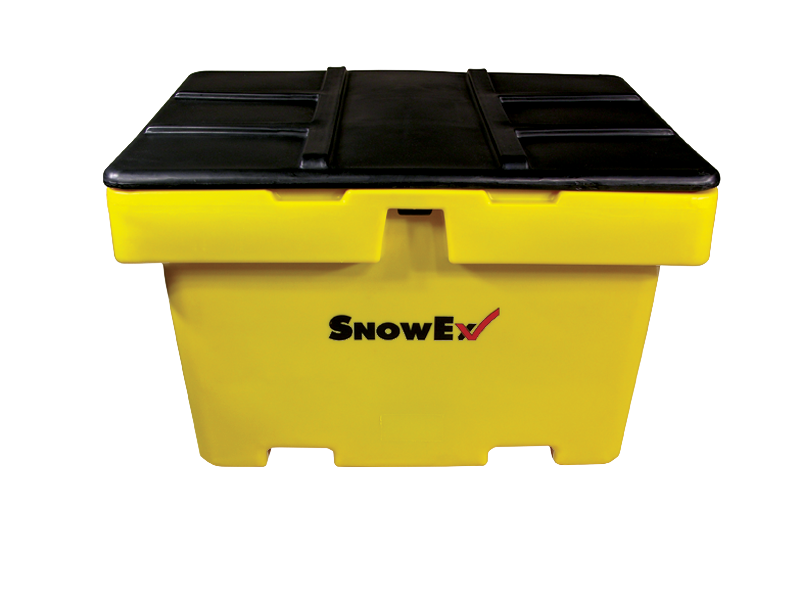 Simple, yet reliable, the economy model salt boxes are available in two sizes, 5 cu ft and 10 cu ft, and feature the same high-density, UV-protected poly construction as SnowEx spreader hoppers.